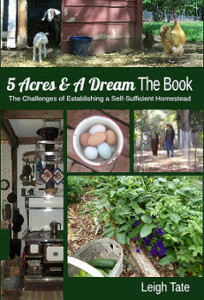 Our homestead master plan is a key part of our homestead planning. It is a diagram of how we hope our homestead will look some day. 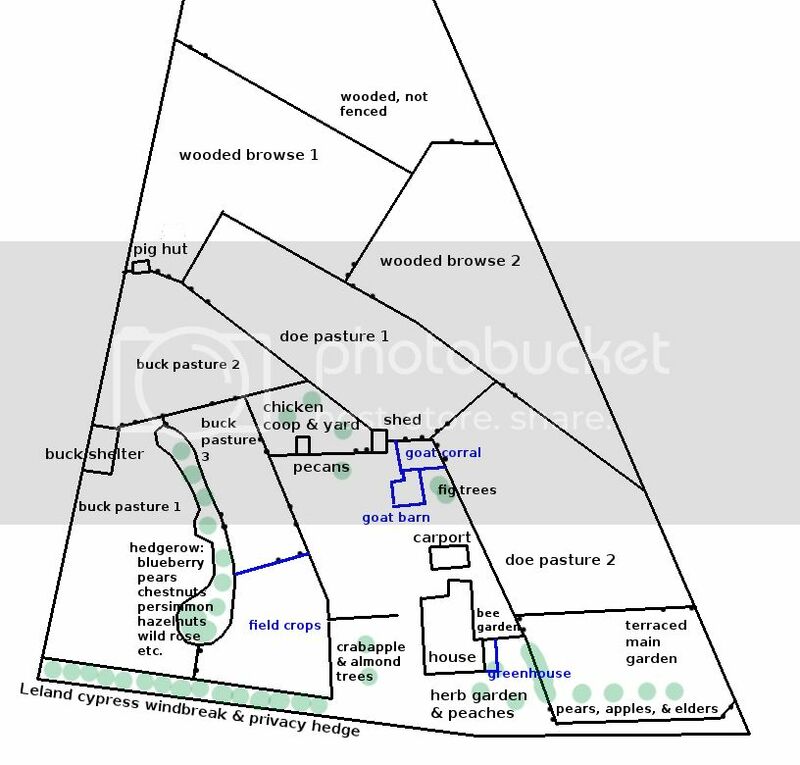 It maps out all the various elements of our homestead: house, gardens, paddocks, outbuildings, etc. and gives us a visual tool from which to discuss, brainstorm, prioritize, and plan what we hope to accomplish next. Our most recent revision was May 2016. Our current Master Plan. Click for enlarged image. From time to time we update it. The links below will take you to all versions of our master plan, how it's evolved, and the rationale for various parts of the plan as well as changes. How did you come up with this plan? Did you have someone help you? If so what type of companies do this or what would you suggest if we are learning how to do this type of thing? Unknown, we did it ourselves. We started with a tracing of our property and a list of goals. We would walk the land and discuss optional locations for the things we wanted, such as the garden, orchard, chickens, etc. We spent time observing the weather and sun. 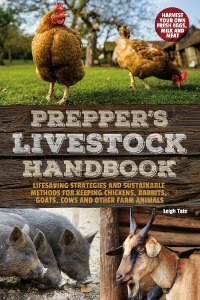 Some things just seemed logical, for example, some of our land was already cleared, so the location for pastures was set. Our plan changes a little every year as we reevaluate our needs and goals. It's a lot of fun to do and becomes a very personal look at your dreams, plans, and goals. I have found it can be really helpful to Google Earth the property, take a screenshot, and work from that to reference things in scale. Can't wait to show all this to my husband. We're just in the planning stages. One thing he wants to do is to build a cob house for us (eventually) and move out of the small sharecropper house that exists on the property. It's neat to see all your plans on paper! I'm following your idea with a master plan. We just bought our dream house with 3 acres but we have so many plans that a master is the only way to go. Thank you for all the great tips you give us! Beverly, congratulations! That's exciting. I have to say that having a master plan has served us well. It's a fun way to dream and give all your ideas a home. Glad to see you have a blog. I look forward to following your progress. Oh yes, we absolutely employ those methods. The recent rain has been invaluable in helping me analyze the effectiveness of my swales and consider where to put more. Even with rain, we need water conservation in case we get a dry spell.